Another reason for heading home is the durian season....I love durians of all kinds! My sister tells me that it will still be around when I go home, so I am really looking forward to it. 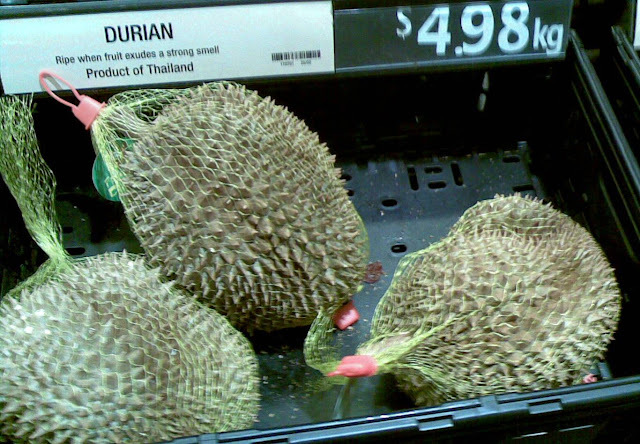 I will always remember as a child, my late Dad coming home with durians and we all crowd around him on the kitchen floor, watching in fascination as he pry it open. He made it look so easy too but I can assure you that it is no easy task. Err, will this be a stakeout or a take out?